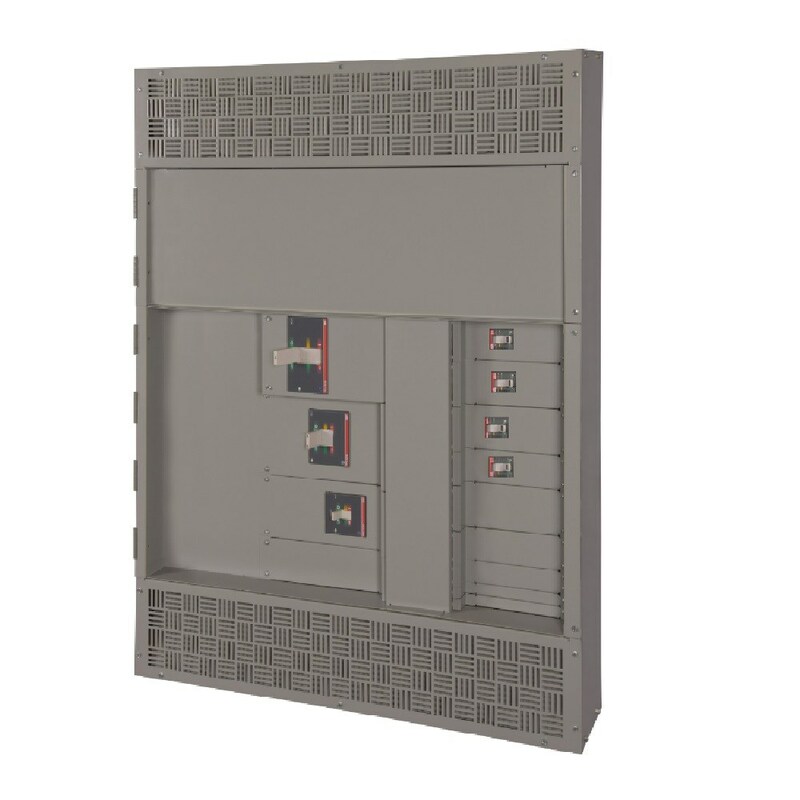 SafeT Interiors are designed for low-voltage distribution UL67 panelboards and UL891 switchboards rated up to 600 volts. They come with an IP20 finger-safe vertical bus stack as standard, ensuring compliance with IEC Standard 60529. The safety bus stacks include a complete assembly of bus bars, insulators, IP20 shrouds and a mounting plate, installed on the back pan. SafeT Interiors also feature plug-on branch devices that are easier to install, requiring just a screwdriver and one or two screws. They can be flipped 180 degrees to allow onsite corrections to be made quickly and with no extra parts. A patented adaptor for the circuit breaker eliminates complex, labor-intensive strap kits, making boards easier and safer to service. The adaptor also provides phase separation, making it easier to replace circuit breakers; and, with fewer potential installation failure points, the SafeT Interior integrates higher levels of quality and robustness into installations. SafeT Interiors are designed for low-voltage distribution panelboards that comply with UL67 and switchboards that comply with UL891. They are available for applications rated up to 600 volts and all come with an IP20 finger-safe vertical bus as standard.